blog.cyber-dojo.org: how do I create and share a cyber-dojo customized practice session? how do I create and share a cyber-dojo customized practice session? Suppose you want to create your own tailored starting point. For example, you might want to create a practice session where the tests are already written. Or some legacy code to practice refactoring. Click on the latest (right-most) traffic light. This will switch to review/diff mode. Below the big [resume] button there is a smaller [fork] button. Click the [fork] button. 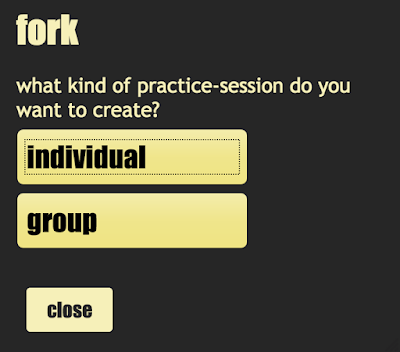 This will open a dialog box asking if you want to create a group practice session or an individual practice session. Click the [group] button. This will open the group practice session landing page, displaying its id. 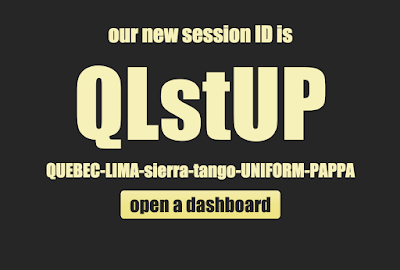 In this example QLstUP is a new group practice session id which is good for one practice session only. I was experimenting on this with my test room without success. Could you help me figure out what's wrong. I've forked new room 74A037 from 638B0525DD. But it doesn't work as expected. Looking at that room I see there is a deer (no traffic-lights) and a flamingo (lots of traffic-lights). But there is no snake in that room. You don't specify the animal you "want". Unlike what we saw over the weekend, the custom start points does work! 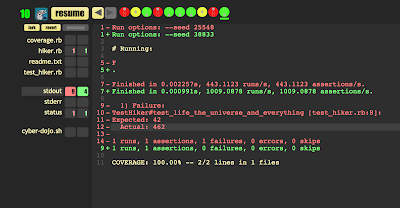 Here's a link to a gist which explains how to quickstart Python/PyTest/FizzBuzz on CyberDojo. Awesome! Thank you so much for doing this. Sorry I fouled it up over the weekend. 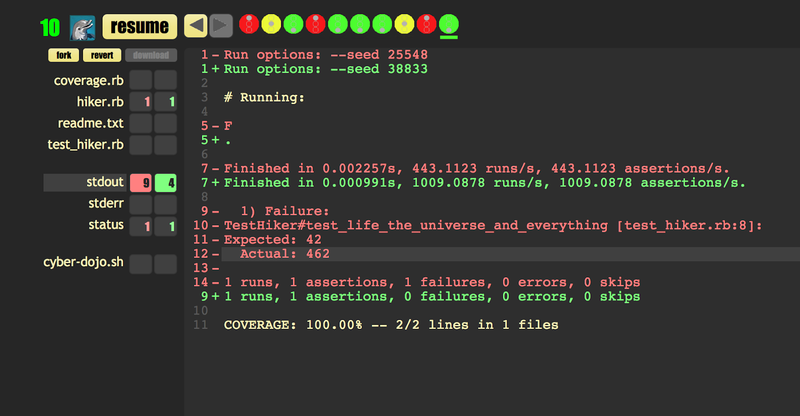 However, the fork doesn't work is when we use the `&tag=-1` to pick up the latest iteration. Which is a bug. Sorry about that. I will look at it as soon as I can. http://cyber-dojo.org/forker/fork/4E8C8A7B0C?avatar=rhino&tag=-1 still doesn't cut it. Am I doing something wrong? Sorry I was not clear. 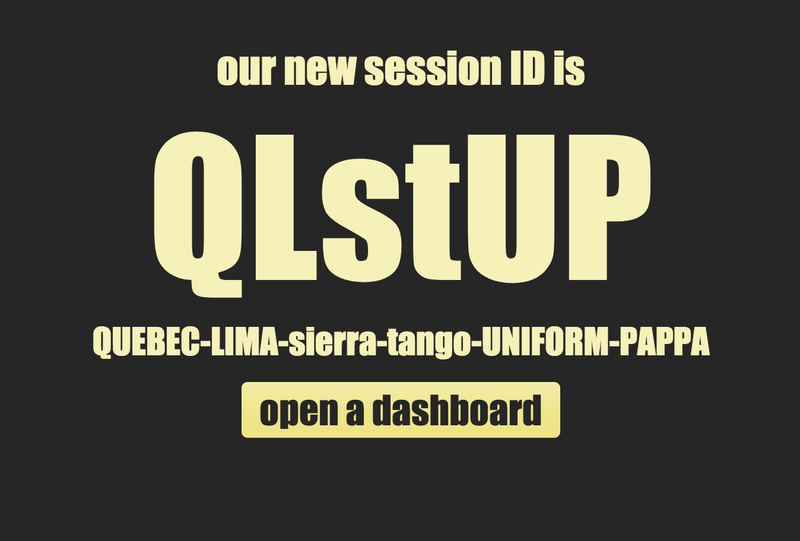 I have made the change to the web-service image but have not upgraded the main server yet (just landed). I was assuming you would be creating URLs with a tag=-1 for your own server. Got it! I will check on my server after it has been updated. 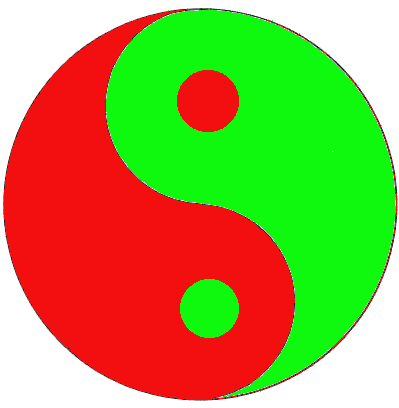 BTW, the bookmarklet will work on cyber-dojo.org as well! Thanks again! "-1" works now after the local "update". Love that color is default now! It would be nice to have the brighter background when displaying on projector. Is that toggle-color kyeboard shortcut still available?